Item #AT-CA: One dozen of 3.25" Square, assorted natural colors Mexican Onyx Aztec Ashtrays with four godheads on the corners. Item #AT-CA: Two, 3.25" Square, banded assorted natural colors Mexican Onyx Aztec Ashtrays with four godheads on the corners. Item #ATC-C1: One dozen of 3.25" Square, assorted natural colors Mexican Onyx Aztec Ashtray with four godheads on the corners and Aztec calendar engraved in the bowl. Item #ATC-C1: Two, 3.5" Square, assorted natural colors Mexican Onyx Aztec Ashtrays with four godheads on the corners and Aztec calendar engraved in the bowl. Item #ATC-C2: One dozen of 4" Square, assorted natural colors Mexican Onyx Aztec Ashtrays with four godheads on the corners and Aztec calendar engraved in the bowl. Item #ATC-C2: Two, 4" Square, assorted natural colors, Mexican Onyx Aztec Ashtrays with four godheads on the corners and Aztec calendar engraved in the bowl. Item #ATC-C3: One dozen of 4.75" Square, assorted natural colors Mexican Onyx Aztec Ashtrays with four godheads on the corners and Aztec calendar engraved in the bowl. Item #ATC-C3: 4.75" Square, assorted natural colors Mexican Onyx Aztec Ashtray with four godheads on the corners and Aztec calendar engraved in the bowl. Item #AT-M1: One dozen of 3.25" modern Square design, assorted natural colors Mexican Onyx Ashtrays with tapered sides. Item #AT-M1: Two, 3.25" modern Square design, assorted natural colors Mexican Onyx Ashtrays with tapered sides. Item #AT-M2: One dozen of 4" modern Square design, assorted natural colors Mexican Onyx Asthrays with tapered sides. 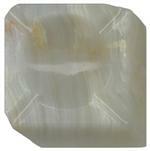 Item #AT-M2: 4" modern Square design, assorted natural colors Mexican Onyx Asthray with tapered sides. Item #AT-MA: One dozen of 2.5" Square, assorted natural colors, unusual geometric designs Mexican Onyx Sloped Ashtray. 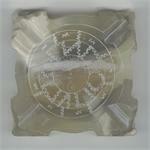 Item #AT-MA: Two, 2.5" Square, assorted natural colors, unusual geometric designs Mexican Onyx Sloped Ashtrays. 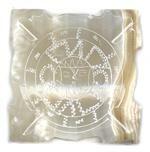 Item #AT-MB: One dozen of 4" Square, assorted natural colors, unusual geometric designs Mexican Onyx Sloped Ashtrays. 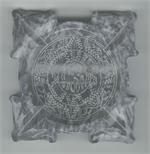 Item #AT-MB: Two, 4" Square, assorted natural colors, unusual geometric designs Mexican Onyx Sloped Ashtrays. 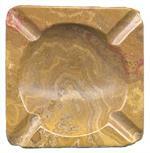 Item #AT-MC: One dozen of 4.75" Square, assorted natural colors, unusual geometric design Mexican Onyx Sloped Ashtray. 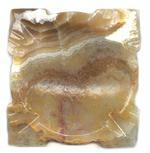 Item #AT-MC: 4.75" Square, assorted natural colors, unusual geometric design Mexican Onyx Sloped Ashtray. 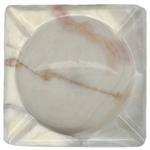 Item #AT-PO1: 1 dozen 3" modern Square design, banded assorted natural colors Zacatecas Onyx Ashtray with tapered sides. 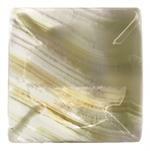 Item #AT-PO1: 3" modern Square design, banded assorted natural colors Zacatecas Onyx Ashtray with tapered sides. 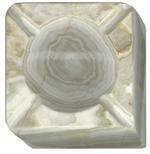 Item #AT-PO2: 4" modern Square design, banded assorted natural colors Zacatecas Onyx Ashtray with tapered sides. Item #AT-R1: One dozen of 4.75" Round, assorted natural colors Mexican Onyx Ashtrays. 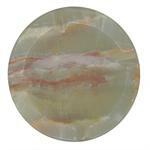 Item #AT-R1: 4.75" Round, assorted natural colors Mexican Onyx Ashtray. Item #AT-RA: One dozen of 3.25" Round, assorted natural colors Mexican Onyx Ashtrays. Item #AT-RA: Two, 3.25" Round, assorted natural colors Mexican Onyx Ashtrays. Item #AT-RB: One dozen of 4" Round, assorted natural colors Mexican Onyx Ashtrays. Item #AT-RB: Two, 4" Round, assorted natural colors Mexican Onyx Ashtrays. Item #AT-S1: One dozen of 3.25" Square, assorted natural colors Mexican Onyx Ashtrays. 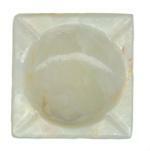 Item #AT-S1: Two, 3.25" Square, assorted natural colors Mexican Onyx Ashtrays. 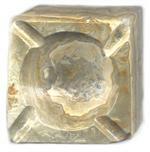 Item #AT-S2: 4" Square Mexican Onyx Ashtray. Available in assorted natural colors.